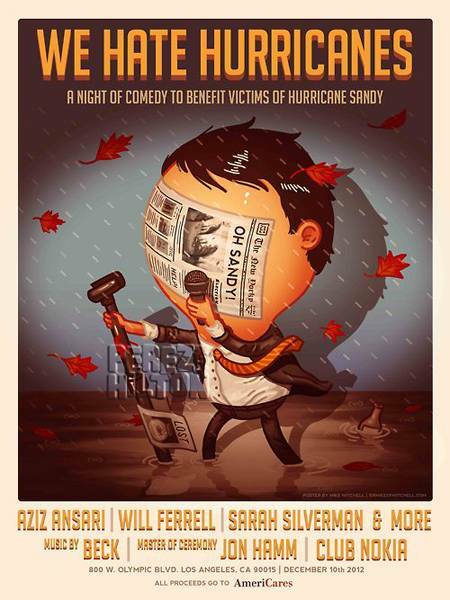 This was a benefit concert to raise money for the Hurricane Sandy relief efforts. Live debut of "I Am The Cosmos," a cover of an old song by Chris Bell. Beck hasn't played it before, but has talked about it and I think put it in one of his DJ mixes. "MTV" was performed quite fully for like the first time in forever. Beck couldn't remember exactly how it all went and there was a little improv in there but the full structure was there. He included it because it was "comedy night." Beck also played "I'm Down" for the first time, which is from his new Song Reader. Beck struggled with the words, and it was played as a loose country song.